This site is under construction. Please check back to see for more details. The Holy Apostolic and Catholic Assyrian Church of the East is a Christian church that traces its origins to the See of Babylon, said to be founded by Saint Thomas the Apostle. In India, it is known as the Chaldean Syrian Church. In the West it is often known, inaccurately, as the Nestorian Church. The Assyrian Church is the original Christian church in what was once Parthia; today Iraq and western Iran. Geographically it stretched in the medieval period to China and India: a monument found in Xi'an (Hsi-an), the Tang-period capital of China (originally Chang'an), in Chinese and Syriac described the activities of the church in the 7th and 8th century, while half a millennium later the Chinese monk Rabban Bar Sauma went from Beijing to Paris and Rome to call for a crusade with the Mongols against the Mamelukes. 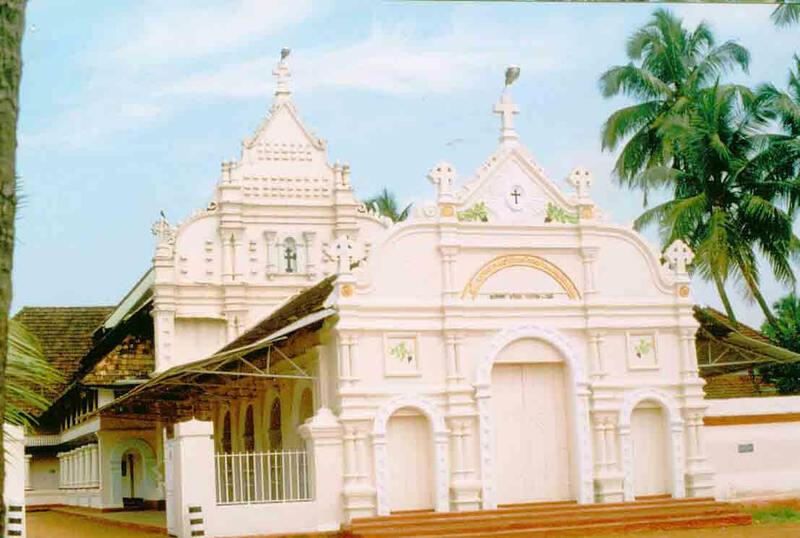 Prior to the Portuguese arrival in India in 1498, it provided "East Syrian" bishops to the Saint Thomas Christians. Mar Aprem Mooken, is the Assyrian Church of the East Metropolitan of India. Mar Aprem (formerly George Mooken) was born in Trichur, Kerala, India, in June 1940. Educated in India, England and America, he specialised in Church History. 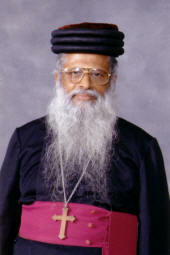 He was the President of the Church History Association of India in 1976-1982. He holds two master's degrees in Church History, one from the United Theological College, Bangalore (M. Th, of Serampore, 1966) and the other from the Union Theological Seminary, New York (S.T.M. degree, 1967). He was a candidate for Doctor of Theology (Th.D.) degree at Princeton Theological Seminary, U.S.A., when he was consecrated Bishop in Baghdad, Iraq in 1968. Later he earned his D.Th. degree from Serampore University, near Calcutta. Mahatma Gandhi University in Kottayam granted a Ph.D. degree in Syriac Studies to him in 2002. Ordained a deacon on June 25, 1961, he became a priest on the day he completed twenty five years of age on 13 June, 1965. He was consecrated Bishop on 21st September, 1968 and promoted as a Metropolitan eight dayslater in Baghdad. In 1995 he was instrumental in healing the rift that had developed in the church over the question of hereditary appointments since the 1960s. He is the author of 65 books on church history, theology, social issues, and even humour. In the 15th century, the church decreed that the title of Patriarch could pass only to relatives of then-patriarch Mar Shimun IV. This upset many in the church's hierarchy, and in 1552 a rival Patriarch, Mar Yohanan Soulaqa VIII was elected. This rival Patriarch met with the Pope and entered into communion with the Roman Catholic Church. The Assyrian Church now had two rival leaders, a hereditary patriarch in Alqosh (in modern-day northern Iraq), and a Papal-appointed patriarch in Diyarbakır (in modern-day eastern Turkey). This situation lasted until 1662 when the Patriarch in Diyarbakır, Mar Shimun XIII Denha, broke communion with Rome, resumed relations with the line at Alqosh, and moved his seat to the village of Qochanis in the Turkish mountains. The Vatican responded by appointing a new patriarch to Diyarbakır to govern the Assyrians who stayed loyal to the Holy See. This latter group became known as the Chaldean Catholic Church. In 1804 the hereditary line of Patriarchs in Alqosh died out, and that church's hierarchy decided to accept the authority of the Chaldean patriarchs. The line of patriarchs at Qochanis remained independent. Assyrians faced reprisals under the Hashemite monarchy for co-operating with the British during the years after World War I, and most fled to the West. The Patriarch Mar Eshai Shimun XXIII, though born into the line of Patriarchs at Qochanis, was educated in Britain. For a time he sought a homeland for the Assyrians in Iraq but was forced to take refuge in Cyprus in 1933, later moving to Chicago, Illinois, and finally settling near San Francisco, California. The present Patriarch of Babylon is based in Chicago, and less than 1 million of the world's 4.5 million Assyrians remain in Iraq. The Chaldean community was less numerous at the time of the British Mandate of Palestine, and did not play a major role in the British rule of the country. However with the exodus of Church of the East members, the Chaldean Catholic Church became the largest non-Muslim group in Iraq, and some later rose to power in the Ba'ath Party government, the most prominent being Deputy Prime Minister Tariq Aziz. In 1964, the issue of hereditary succession again caused a schism, with the subsequent election of Mar Thoma Darmo as a rival to the hereditary Mar Eshai Shimun XXIII. Shortly thereafter the patriarch became convinced that nothing in the canon law of the Church of the East prohibited the patriarch from marrying. He therefore married in August 1973. Mar Shimun announced his resignation in 1973, but was asked to stay in office. He was later allowed to continue in office, but was assassinated in 1975 while negotiations were being carried out over the conditions of his reinstatement. Mar Dinkha IV was elected as Shimun's successor, and announced the permanent end of the hereditary succession. While this removes the underlying dispute, the rift between the rival Patriarchs still exists, with Mar Addai II as the successor to Mar Thomas Darmo at the head of a group called the Ancient Church of the East. On November 11, 1994, a historic meeting of Mar Dinkha IV and Roman Catholic Pope John Paul II took place in the Vatican and a Common Christological Declaration was signed. One side effect of this meeting was that the Assyrian Church's relationship to the Chaldean Catholic Church was improved. In September 2006, Mar Dinkha IV paid a historic visit to Northern Iraq to give oversight to the churches there and to encourage the governor of the Kurdish region to open a Christian school as well as a library in Arbil. Copiright 2008 Thettayil.com All Rights Reserved. This is a private web site and NOT an official Holy Apostolic Catholic Assyrian Church of the East web site.